This is such a great idea! 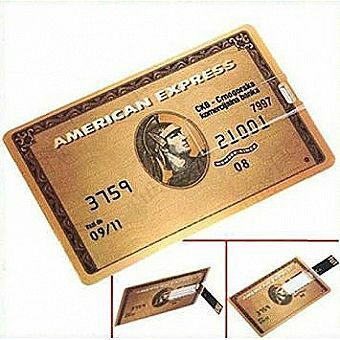 It's a flash drive that can easily slip in your wallet and look like a credit card. So whether you're undercover secretly extracting data or just want to look cool with a credit card USB drive this is the product for you. Very easy to read and read in high speed ,No need drive/power supply only plug in.